THE B-MOVIE NEWS VAULT: Synapse Films Brings UNEARTHED & UNTOLD: THE PATH TO PET SEMATARY to Blu-ray this March! Synapse Films Brings UNEARTHED & UNTOLD: THE PATH TO PET SEMATARY to Blu-ray this March! ON MARCH 13TH, SYNAPSE WILL RELEASE THIS EXHAUSTIVE DOCUMENTARY ABOUT ONE OF THE BEST STEPHEN KING ADAPTATIONS OF ALL TIME! 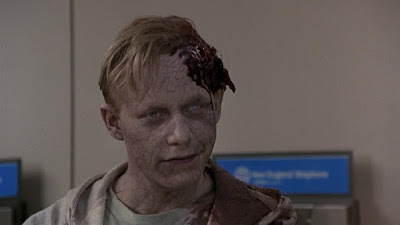 PET SEMATARY is an amazing horror film, and over the years, I've become a big fan of it. It's equal parts heartbreaking and terrifying, and has cemented itself as a classic of a genre. The all-new UNEARTHED & UNTOLD documentary delves into the making of the film, with cast & crew interviews, location shoot visits, and more! Continue onward for the full specs & extras of this upcoming Synapse release! UNEARTHED AND UNTOLD: THE PATH TO PET SEMATARY is both an in-depth independent documentary and celebration of King's classic tale of terror, told through the voices of cast and crew from the 1989 hit film, as well as locals in Maine - the place where it all started. In addition to first time ever interviews, tours of the many iconic locations used in the film and never-before-seen photographs and home video from the set, this film explores the impact PET SEMATARY has not only on horror fans, but scholars of Stephen King's work. Featuring interviews with director Mary Lambert, stars Denise Crosby, Dale Midkiff, Miko Hughes, Brad Greenquist, Andrew Hubatsek, Susan Blommaert, the Berdahl twins, Michael Lombard and MANY MORE! This documentary will blow your mind! Audio Commentary with Creators John Campopiano & Justin White! Podcast Commentary with Creators John Campopiano & Justin White! Video Interview with Creators John Campopiano & Justin White. Rare On-Set Video Footage from Rhonda Carter. Synapse's all-region Blu-ray of UNEARTHED & UNTOLD: THE PATH TO PET SEMATARY will be released on Tuesday, March 13th! If you are a fan of the movie, you need to see this documentary! 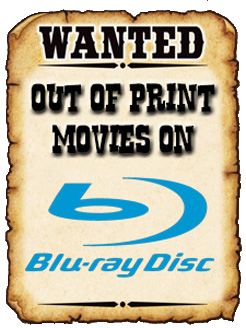 Order your copy now from AMAZON, BULLMOOSE, or DIABOLIK DVD!